There are two types of ceremonies for destination weddings. You can have a LEGAL ceremony, where you are legally married in your destination and receive a marriage certificate that is recognized at home. Legal ceremonies often cost a little more and require extra paperwork and occasionally blood tests. Or, you can have a SYMBOLIC ceremony that has no legal holding. To have a symbolic ceremony, you would be legally married at home by your clergy or courthouse before you travel. At your destination wedding, you will celebrate your union as if it were your actual wedding with flowers, music, vows and other ceremony details. Your guests would not know the difference between a legal and symbolic ceremony. Approximately 80% of all destination weddings are symbolic. Mexico: Only the civil ceremony is legally recognized and must be performed by a judge. A blood test is required. A religious ceremony has no legal bearing and does not replace in any way the binding Civil Marriage. Religious ceremonies or renewal of vows ceremonies are symbolic. They are performed by a non-denominational minister. 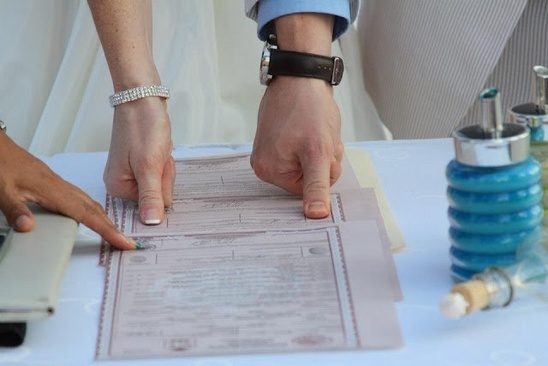 The bride and groom will receive a symbolic marriage certificate without legal bearing. Dominican Republic: Civil ceremonies are performed by a judge and Catholic ceremonies are performed by a catholic priest. Both ceremonies are legally recognized. All paperwork must be notarized and translated into Spanish. This typically adds $500-$800 to the wedding costs. Renewal vows are symbolic weddings, they are performed by a non-denominational minister and it does not have a legal bearing.